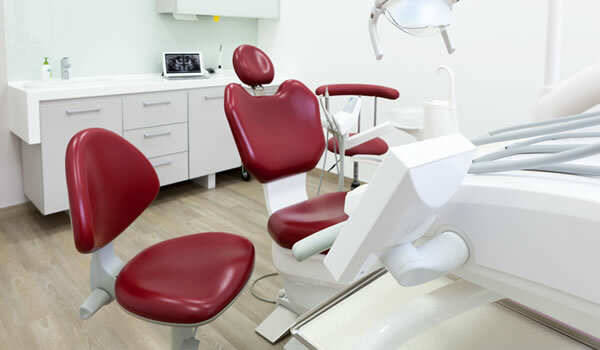 When selecting dental equipment, research the manufacturer of the brand of equipment you are considering to determine (1) the stability of the company and (2) if it provides good customer support for its equipment. Also, ask dentists and dental equipment repair services about the reliability and durability of the brand of equipment you are considering. Commonly called dental drills, handpieces are air-powered or electronically powered rotary instruments that are used to cut or polish teeth. 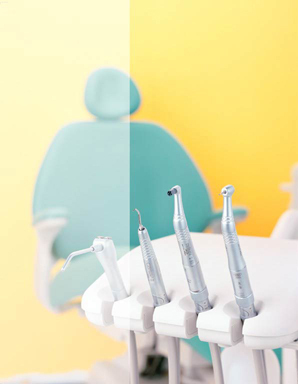 A clinic needs both high-speed and low-speed handpieces for general dentistry. 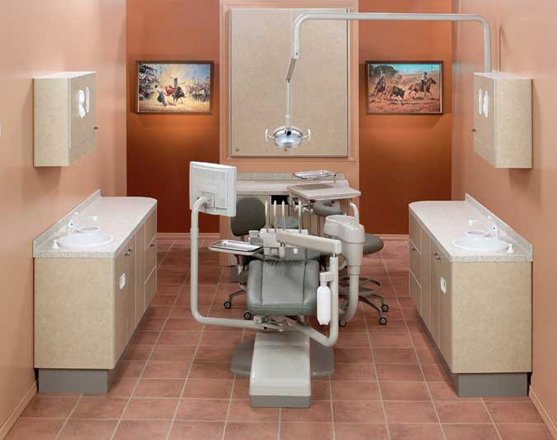 If the clinic plans to provide oral surgery services, it will need surgery handpieces. Handpieces are equipped with a wide range of attachments that are purchased separately. Since handpieces and their attachments, including slow speed motors must be sterilized after being used, the number needed by a facility is determined by the method it will use to sterilize them. Faster sterilization requires fewer handpieces. As a general rule, you will need four high-speed handpieces per operatory and four low-speed motors and attachments that are used regularly for each operatory. The exact number will depend on the number of patients treated per hour per operatory and the handpiece sterilization time of the sterilization equipment you select. Dental handpieces are expensive; make sure enough funds are included in your start-up budget. Periapical X-ray: The basic dental X-ray that shows several teeth at a time. This can be done the conventional way using chemically developed film or using digital X-rays (ideally one per operatory, pursuant to state law and regulation). Panoramic X-ray: This dental X-ray shows both dental arches on a single X-ray film that is 5 inches by 11 inches. The panoramic X-ray machine requires its own area. Panoramic X-rays are an exceptional diagnostic tool. Cephalometric X-ray: This X-ray shows the entire head and is taken using a panoramic X-ray machine with special attachments. 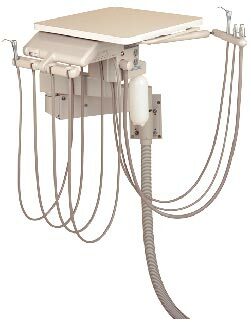 Orthodontists most commonly use this type of X-ray. X-rays can be taken two ways. The conventional method is to expose photographic film to X-rays and then chemically develop the film in a darkroom. The state of the art method is known as digital X-rays where the images are captured electronically, loaded into, viewed and stored on a computer. If digital X-rays are used, a computer monitor and keyboard are needed in each operatory. Digital X-ray equipment is more costly than standard X-ray equipment but in the long run is less expensive than using standard X-rays. Digital equipment eliminates the cost and space required for darkrooms, film, and processing chemicals. In addition, time, money, and paperwork are saved in storing and transmitting the images electronically. There are two different digital X-ray techniques. One utilizes a direct cable to the modem. This provides images quickly, but the cable connection is expensive and easily broken. The second captures the image on reusable film and takes longer to download to the computer but is not as likely to break and has proven to be easier to use with children. 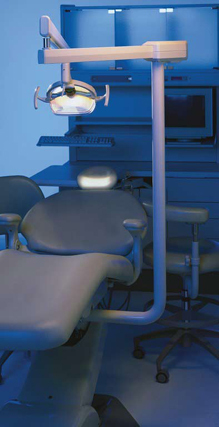 Henry Schein, Inc., provides more details on the various dental radiology techniques. A cost analysis comparing standard X-rays to digital X-rays demonstrates that while start-up cost is more for digital X-rays, savings over time are substantial. Computers are needed in the operatory if the clinic will be using digital X-rays or electronically maintained charts. 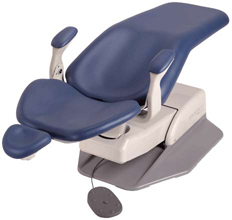 Monitors may be mounted on the dental chair with the computer placed on a cabinet in the operatory. The design and layout of computer equipment must account for the team and the workflow, and who is doing what and when. Before the clinic begins operations, you will need a communications system for both intra-office communications and for communications outside the clinic. If the clinic is small (e.g., only one dentist and appropriate support staff), then intra-office communications can be as easy as word-of-mouth. If, however, the clinic has multiple health professionals or is part of a multi-clinic system, then the communications system will be much more complex. 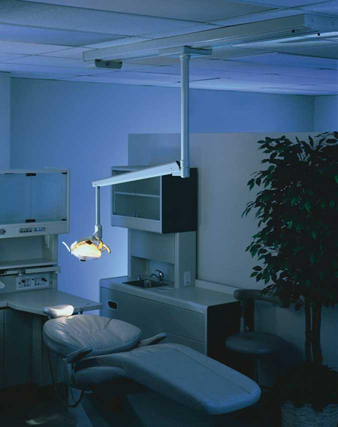 Color-coded flagging systems or light systems (such as the one pictured) frequently are used in multi-professional medical and dental offices to alert staff when a patient is in a treatment area or when a staff member has a phone call or message. An internal paging or intercom system also may be considered. Since intercom systems can be installed as stand-alone system or as part of the clinic's phone system, decide which type will be used before a phone system is purchased and installed. 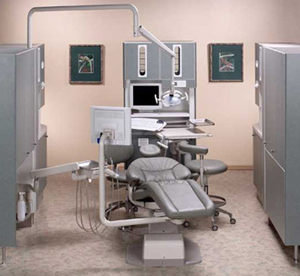 Local dentists or local group practices may be able to help you decide which system will best suit your needs. 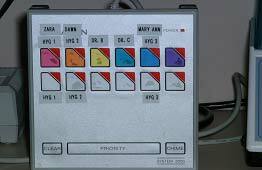 Many computer systems for electronic dental records now allow for in-house paging. When planning phone service for the clinic, consider having additional lines available for dedicated private lines, fax machines and internet access. Fax machines may still occasionally be needed to send and receive insurance information, lab results, and the like. Internet access is becoming more crucial. Many dental supplies can be ordered online, and a large amount of technical and scientific oral health information is available. Convenient, real-time access to such information can help to improve the quality of services provided by the clinic and can lessen the need for an extensive onsite reference library. Creating computer networks to the clinic and within the facility may be desirable but poses risks of unauthorized access to or loss of data. Many types of network structures and access methods exist, each with distinct advantages and risks. Thoughtful design of internal and external information system network communication and connectivity is necessary.